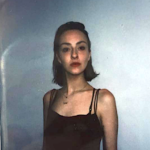 Gabrielle Kynoch is a writer/researcher based in North London. 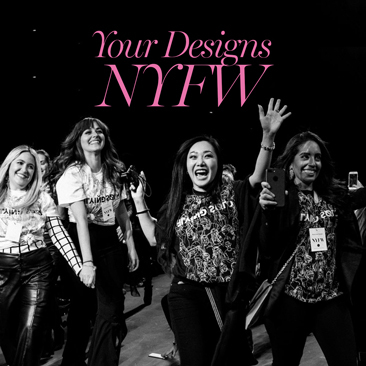 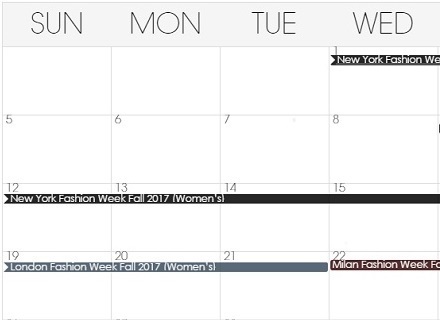 With first-class degree in Fashion Promotion, she covers everything from fashion shows to political interviews. 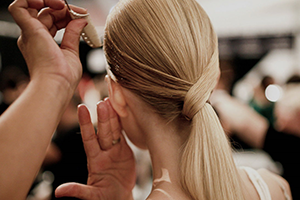 Follow her on Instagram @gabriellekynoch. 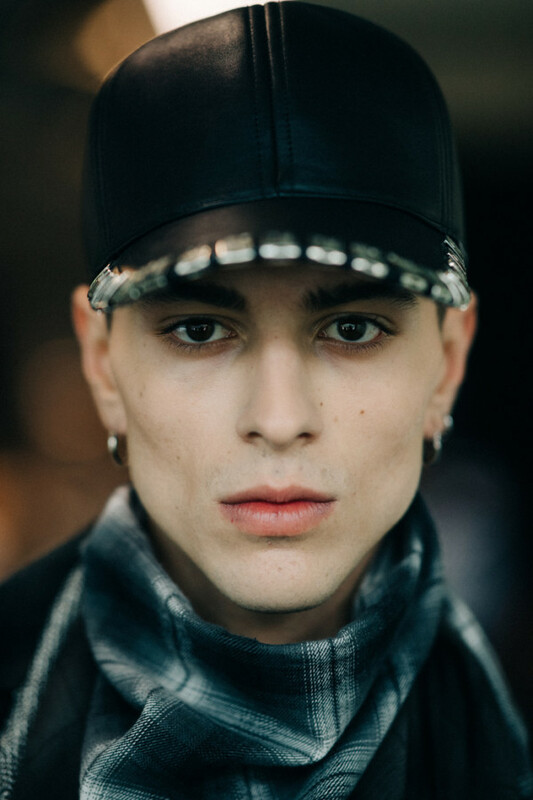 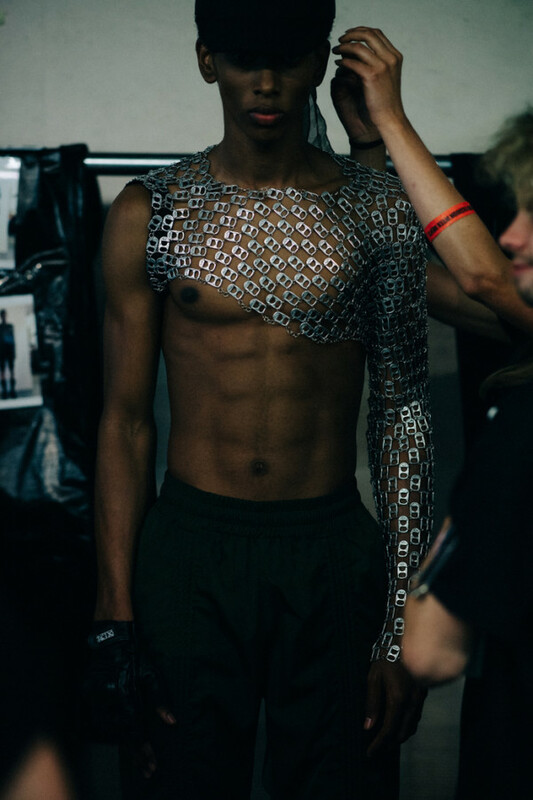 KTZ’s SS18 collection was a rebellion of khaki two-pieces, chain mail, and stud embellishments set against leather tailoring. 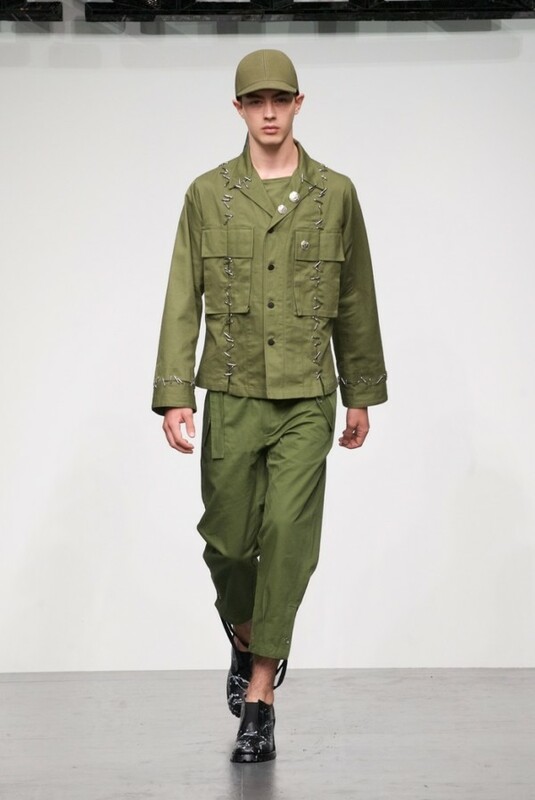 As the models stomped (or teetered) down the runway in paint-splattered ankle boots, the mood conveyed an anarchist riot in military garms. 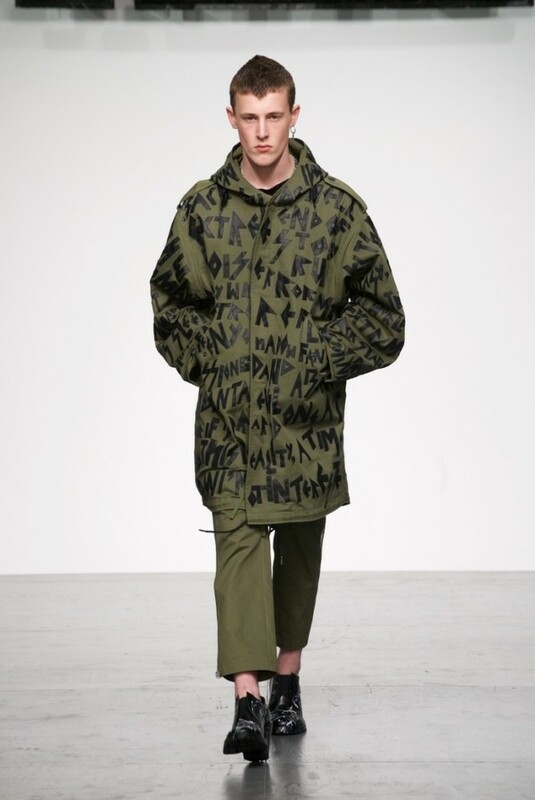 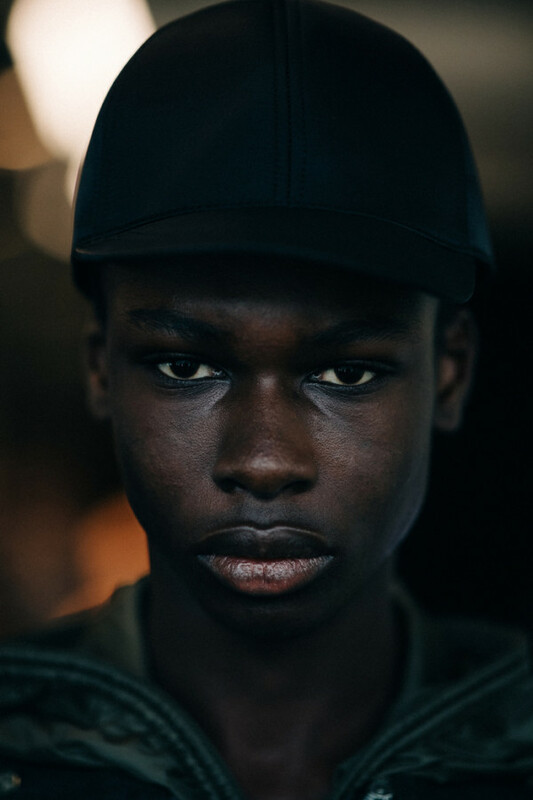 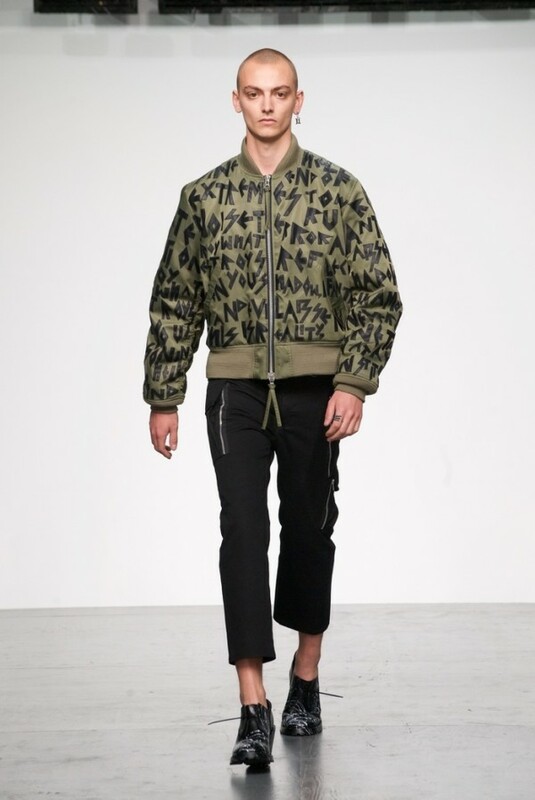 The khaki and black palette made up of patent leather looks and camo print outerwear were held together at the seams by shiny silver clips. 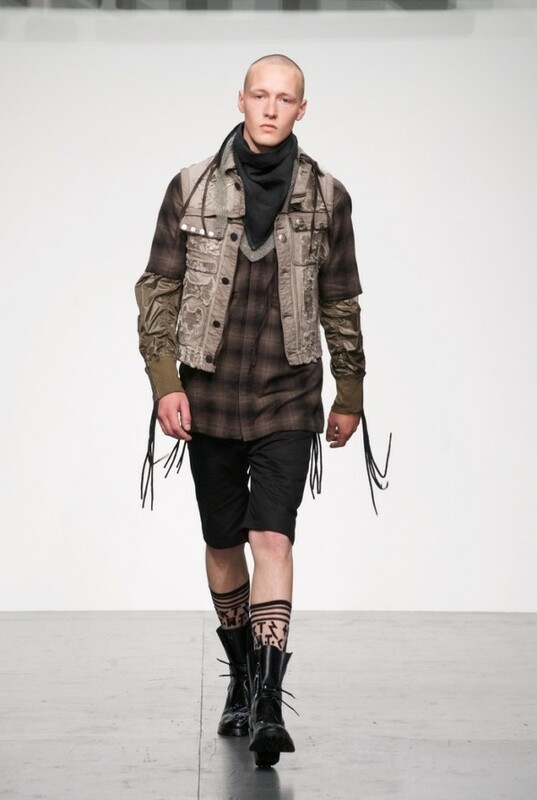 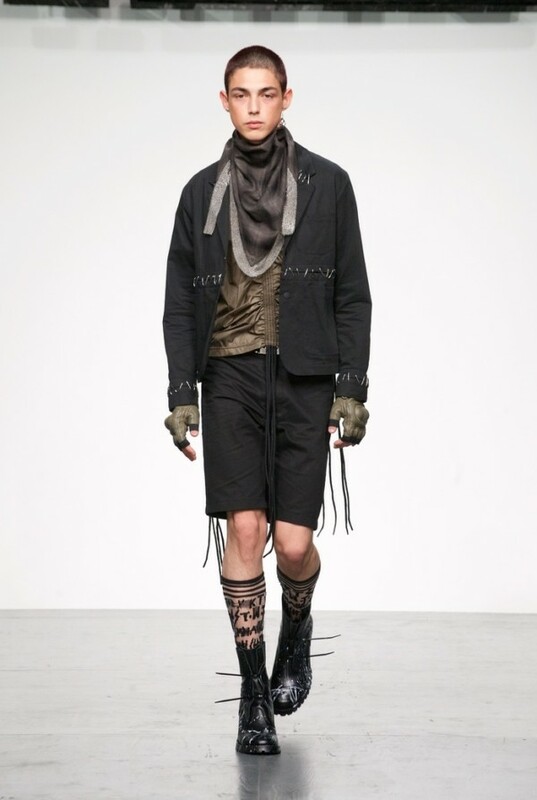 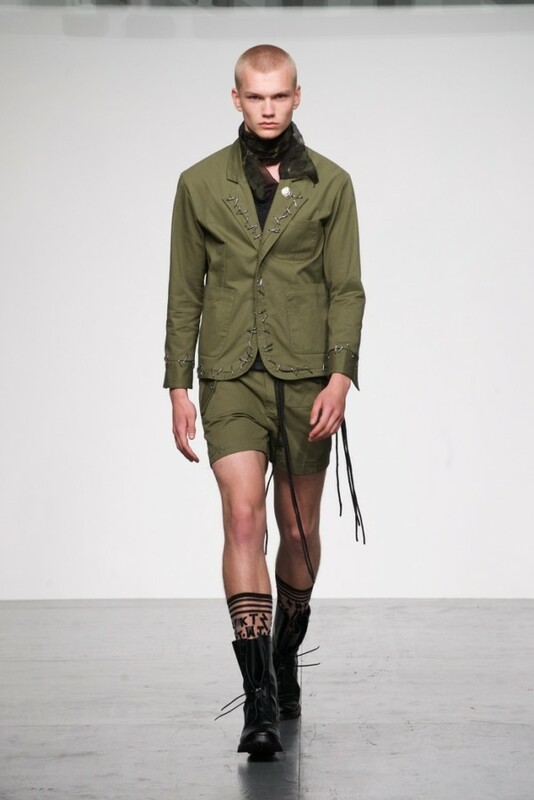 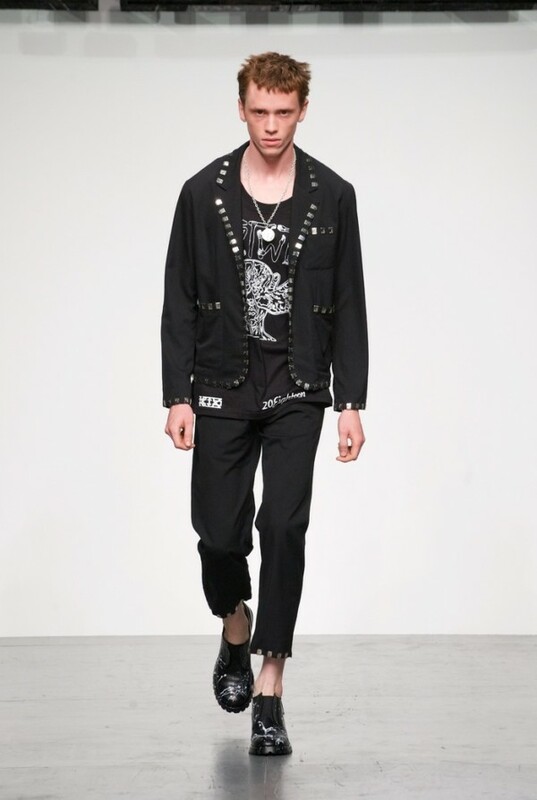 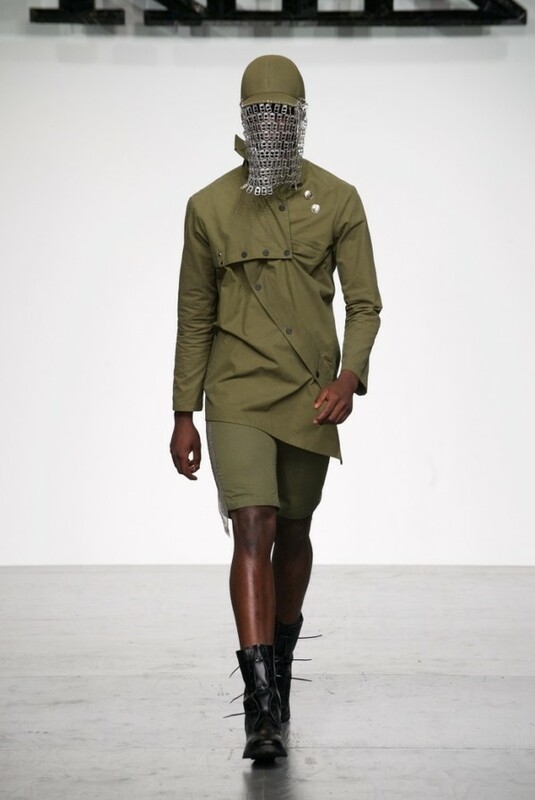 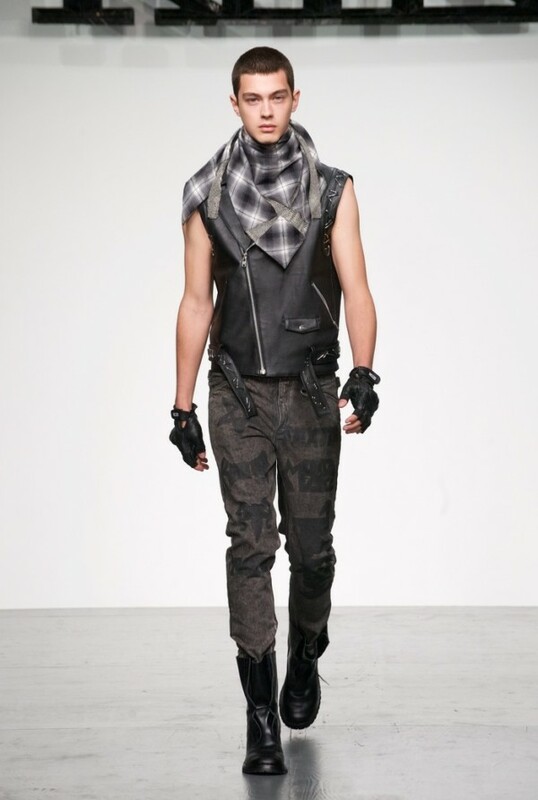 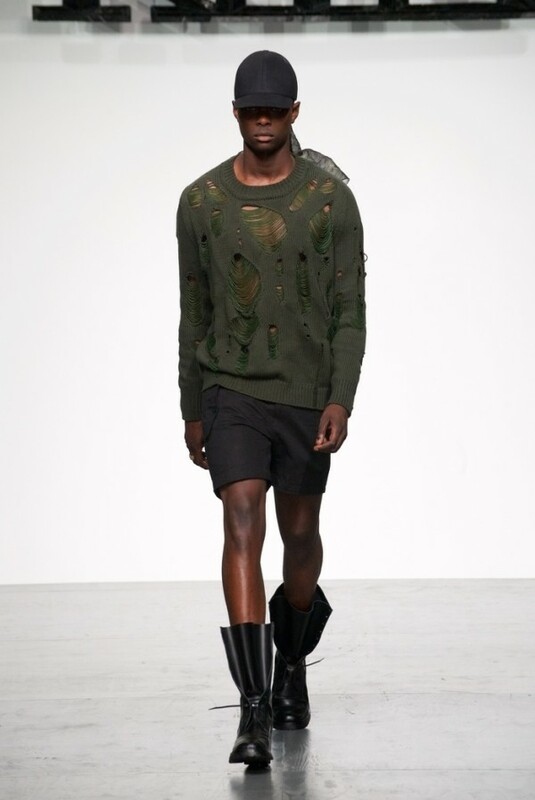 The collection included bombers, tailored jackets, and sleeveless denim jackets paired with shorts of varying lengths. 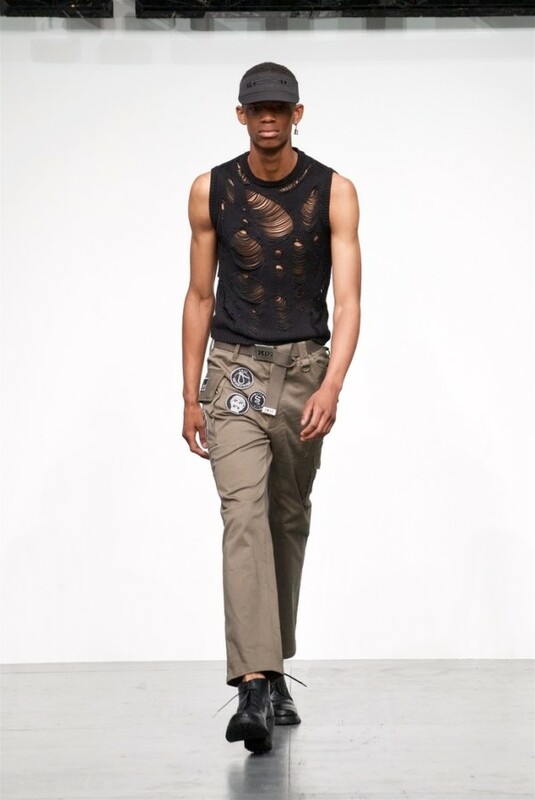 Starting from fitted shorts, it grew into baggier sets and then morphed into slim-cut cigarette pants. 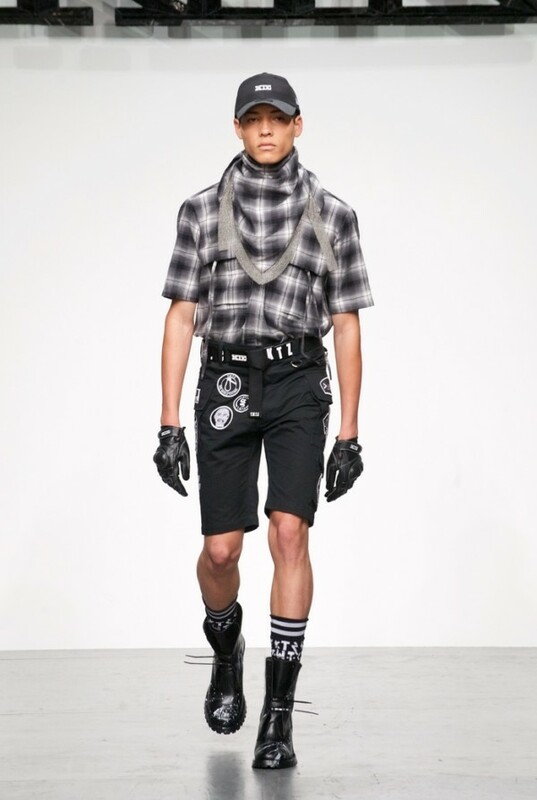 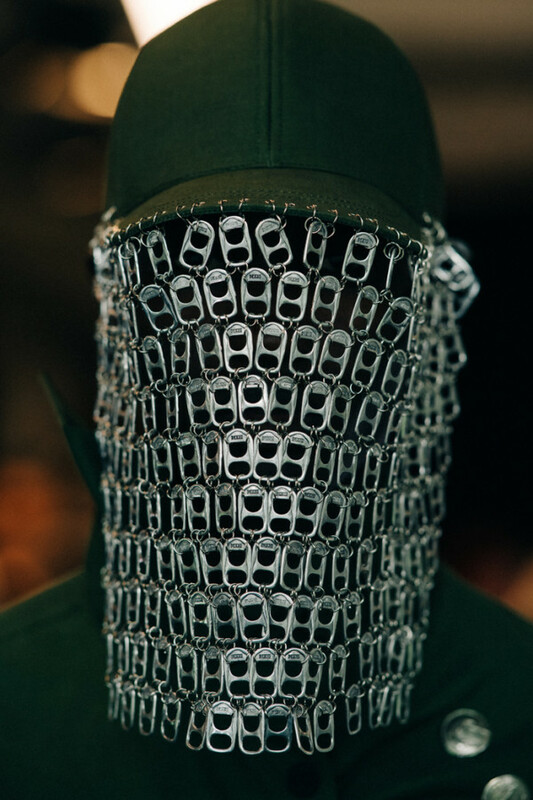 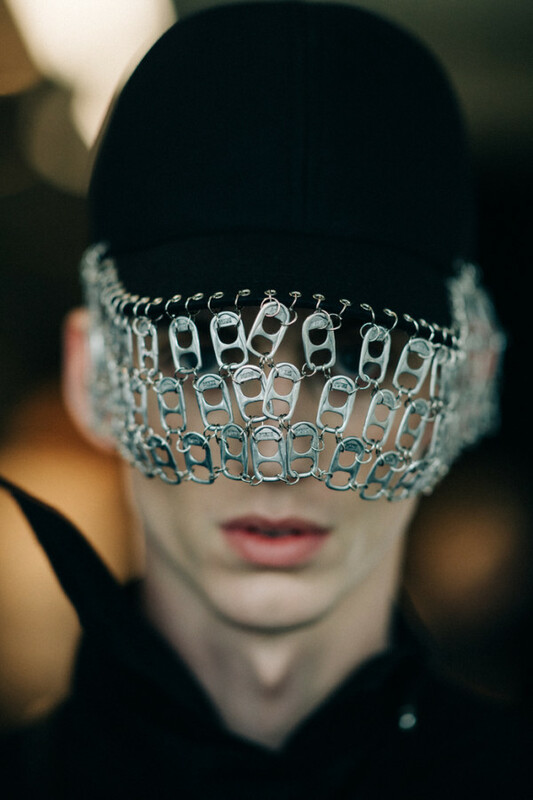 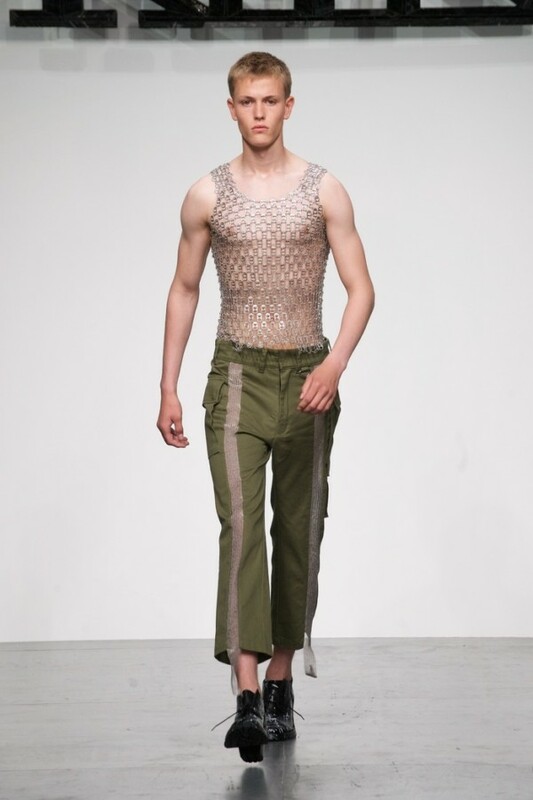 The stand-out pieces were chainmail made from throw away can-tabs and monochromatic motifs that covered shirts and shorts. 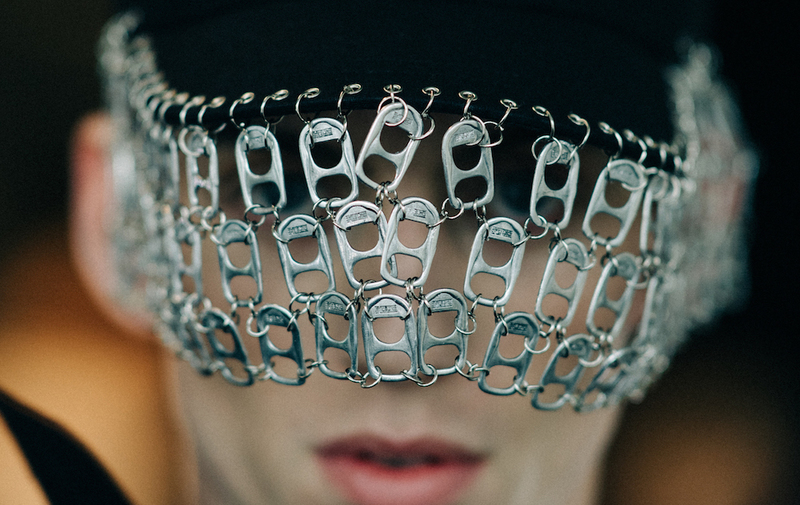 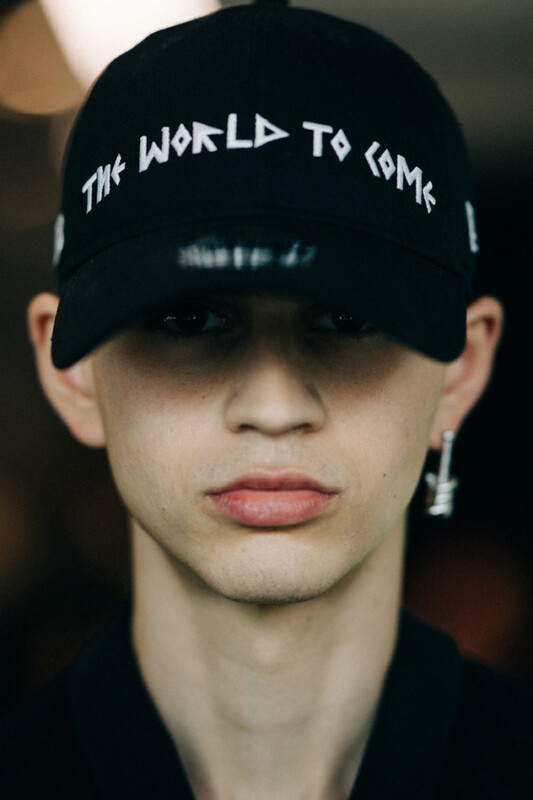 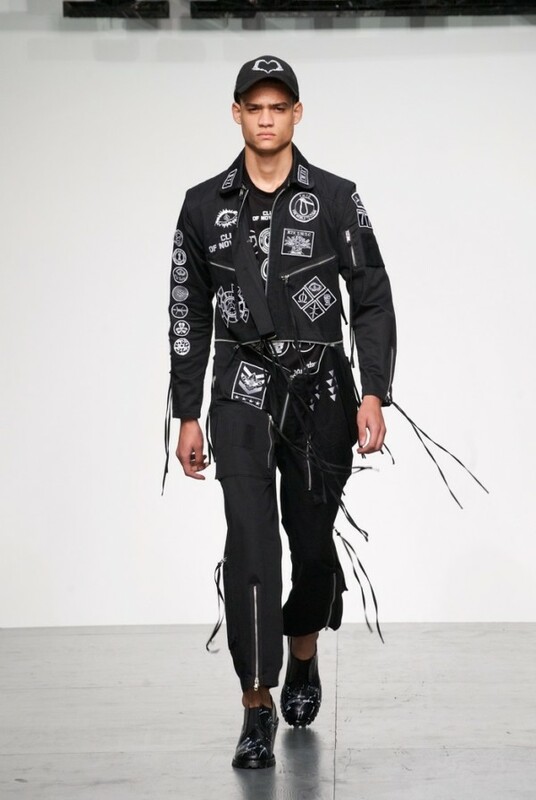 Branding the KTZ collection as a punk uniform, bandanas and veils concealed the models, creating anonymity, and adding to the riot theme. 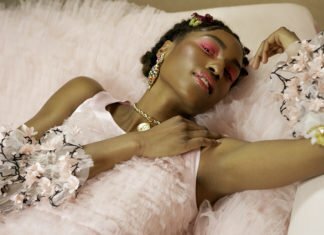 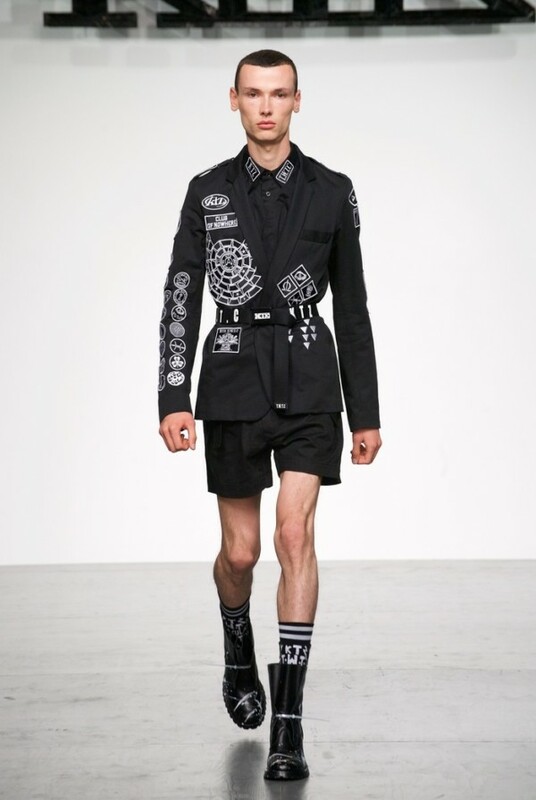 For styling, KTZ paired the heels with black tube socks and delicate dangling earrings, blurring the lines of what’s feminine and what’s masculine. 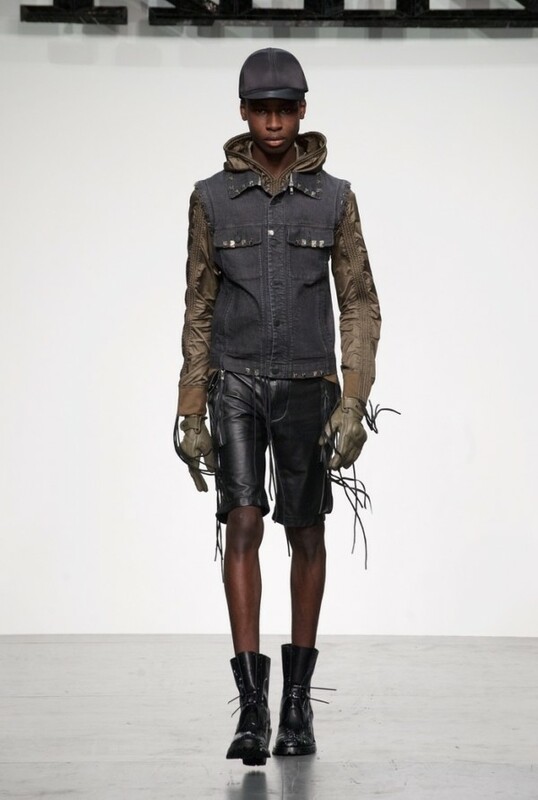 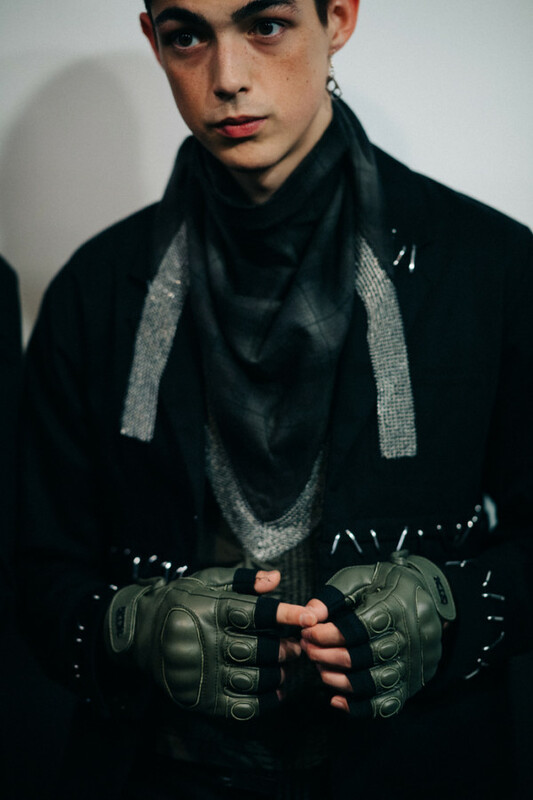 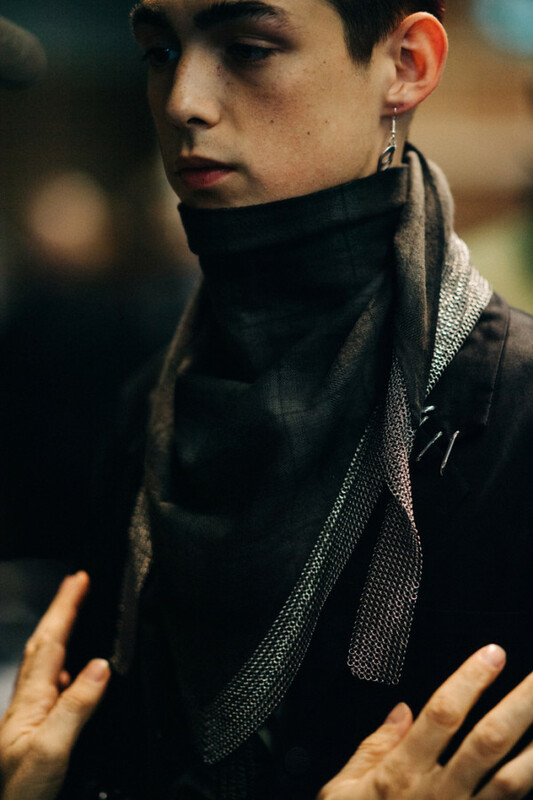 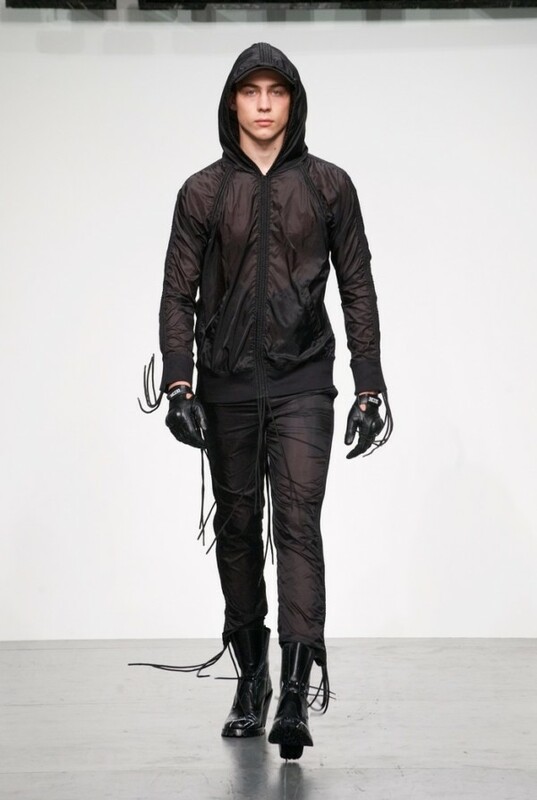 The collection was a blend of classic punk staples: wet-look leather, safety pins, and boots, but updated for a modern market. 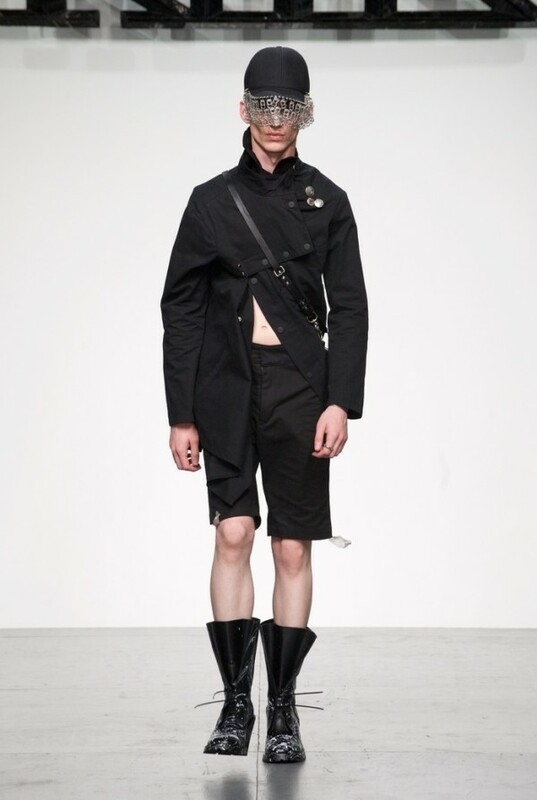 The boots were heeled, the leather was tailored, and the safety pins had been traded in for carefully placed decoration. 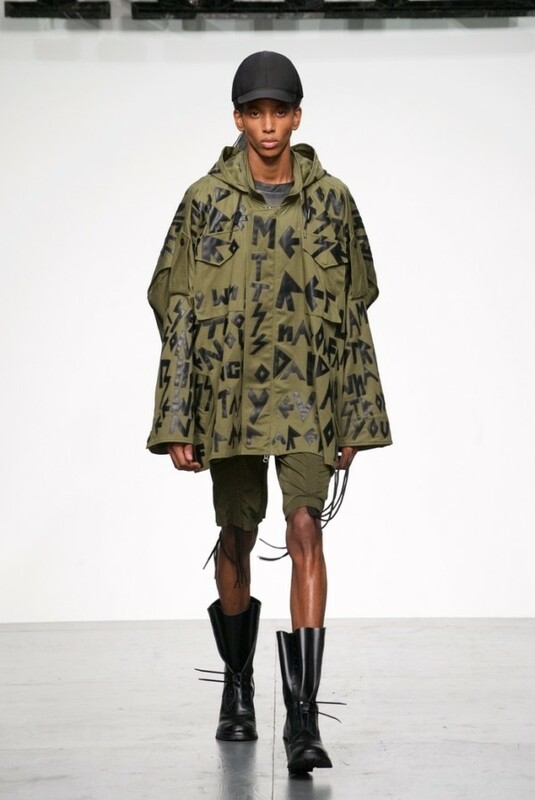 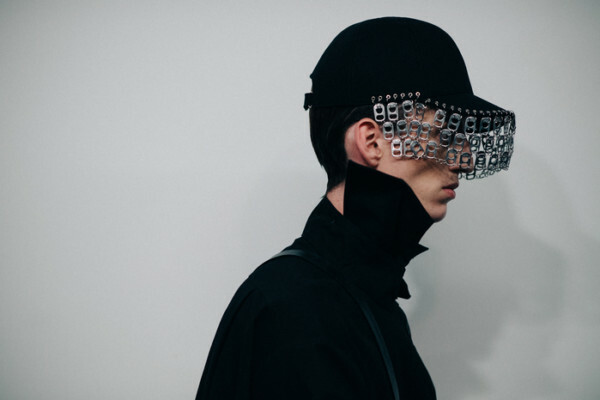 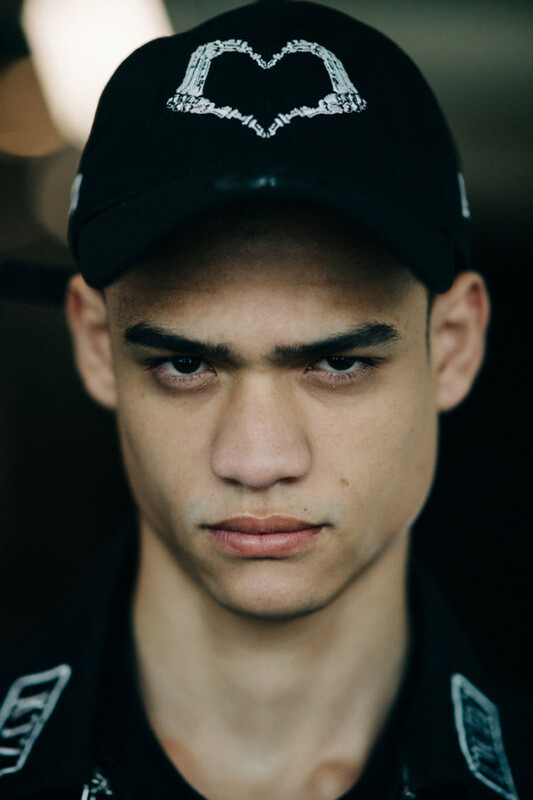 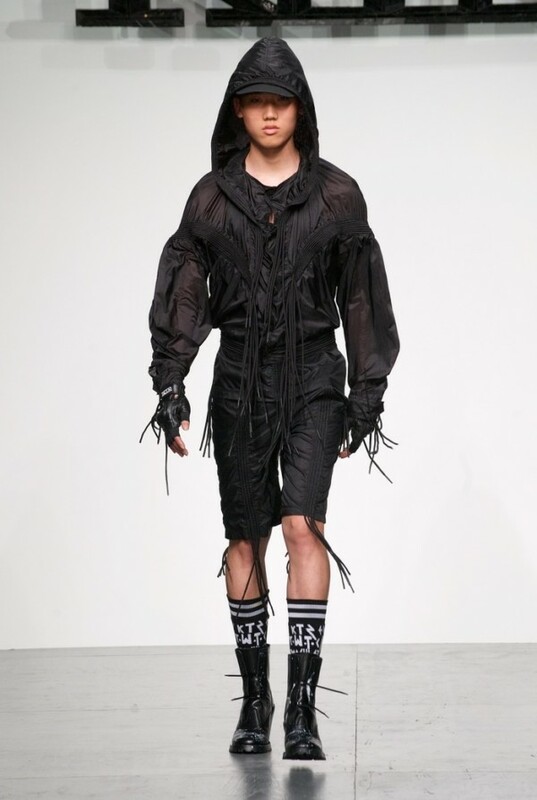 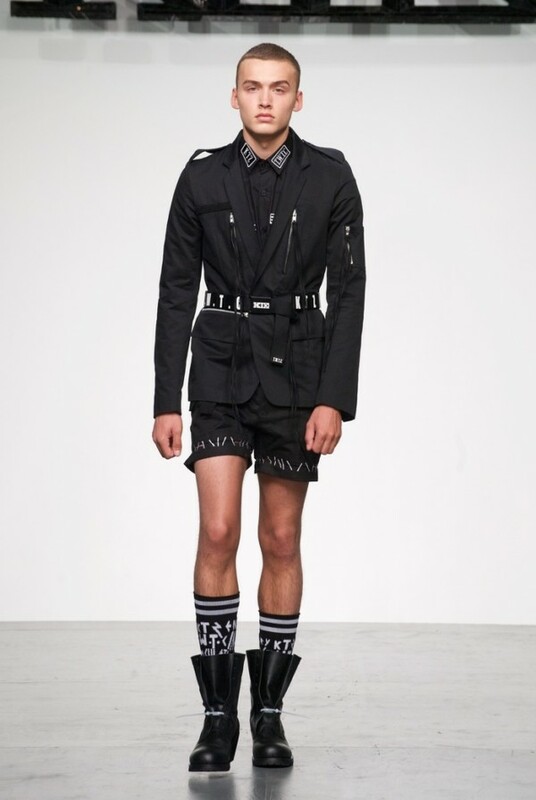 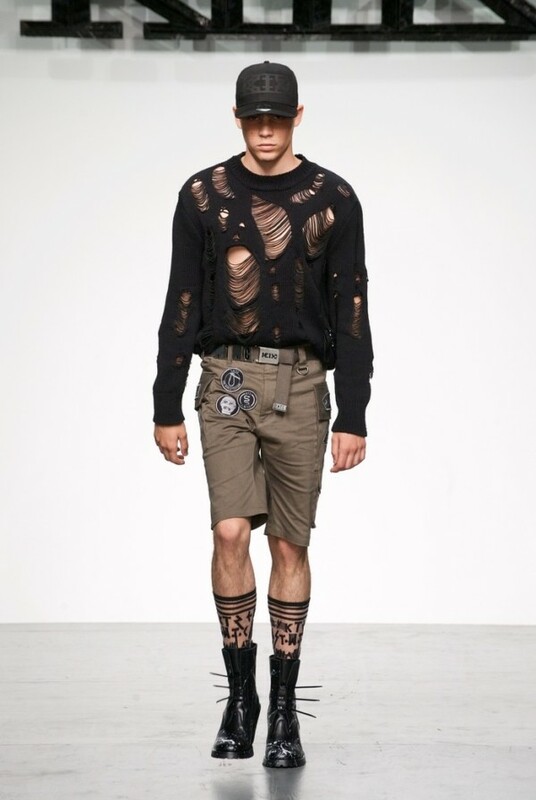 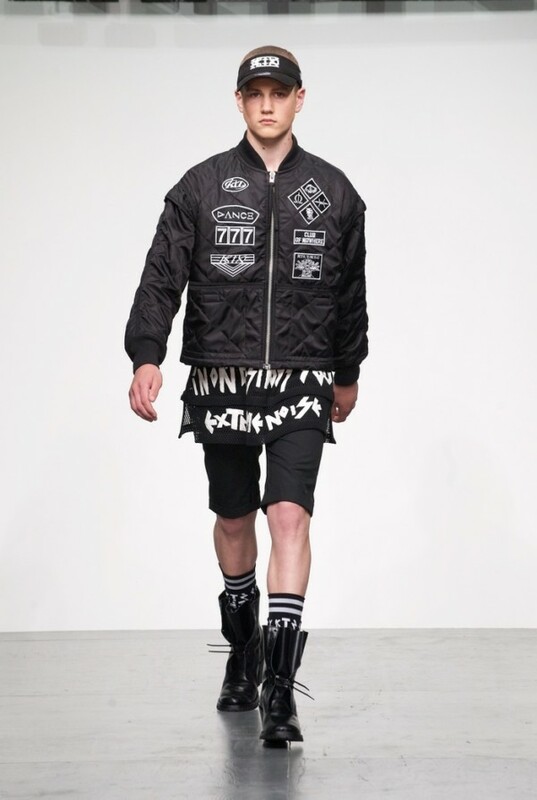 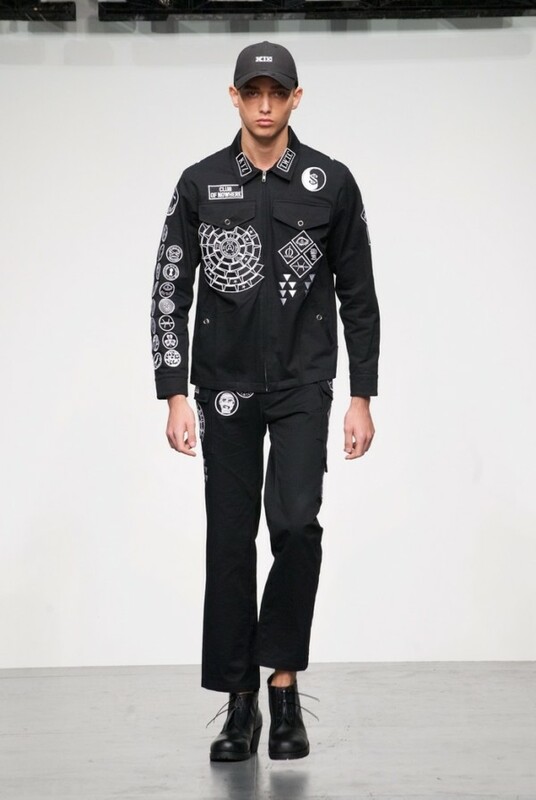 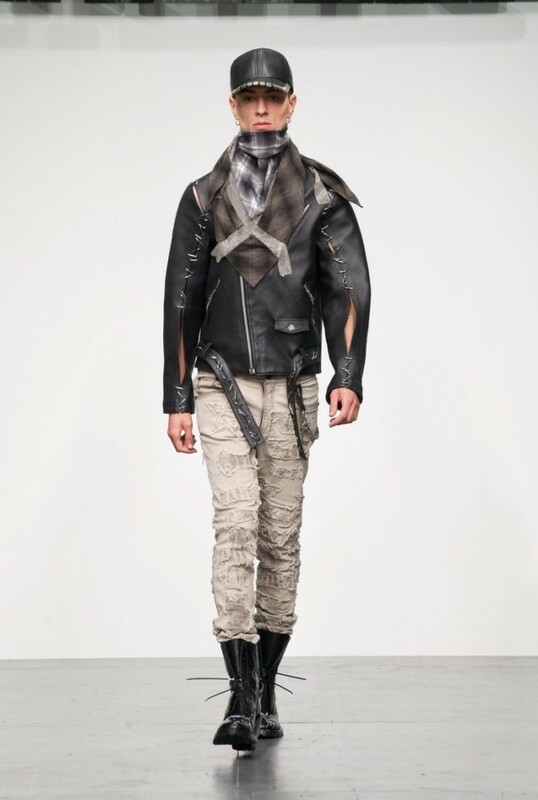 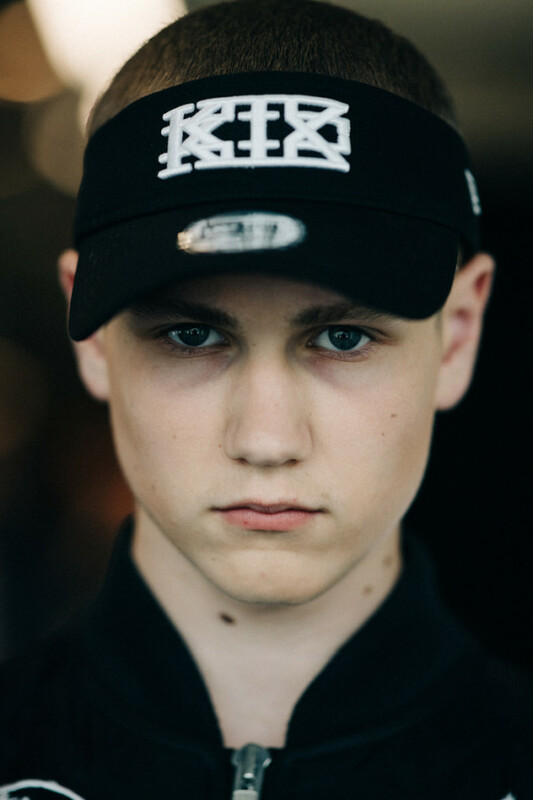 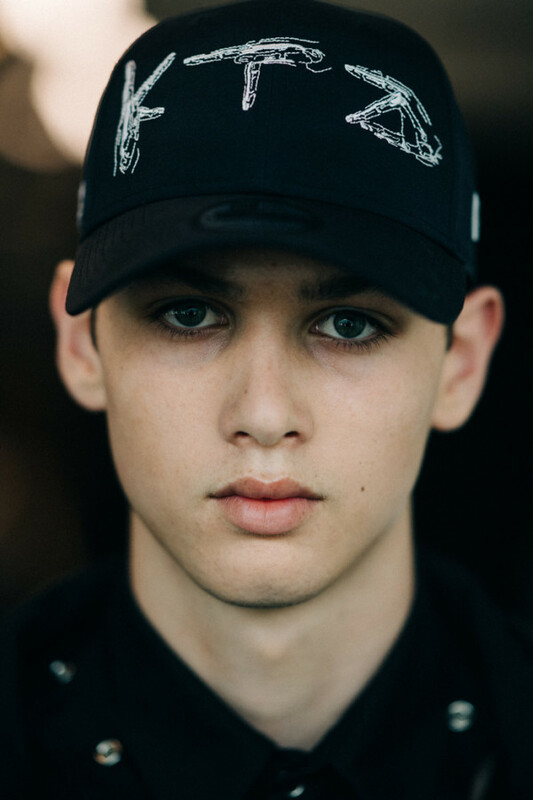 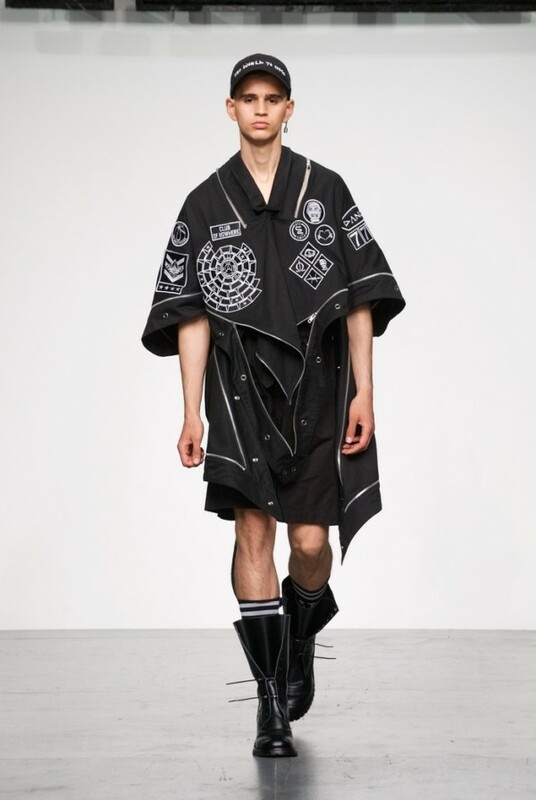 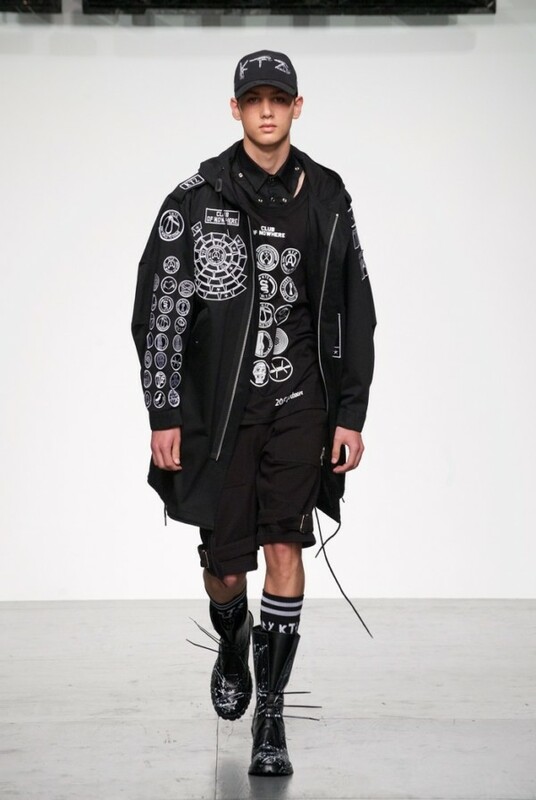 KTZ’s SS18 collection is perfect for the modern anarchist.